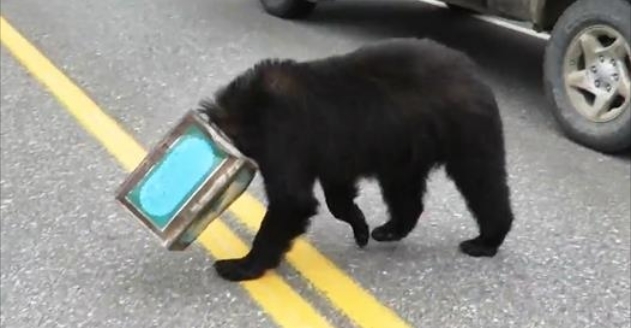 A black bear that wandered onto the Alaska Highway near Tok with a coffee can stuck on its head Monday drew a helpful response from passers-by, with one even attempting to remove the container before state biologists arrived. Randy Rallo, the owner and operator of Tok-based 40-Mile Air, said he was en route to Midway Lake to do maintenance work on one of the company's floatplanes when he encountered a semitrailer stopped — its driver still in the cab, but not pulled to the side of the road — near Mile 1297 of the highway, about 15 miles from Tok. "So I pulled up alongside him, and he said there was a black bear walking around with a can stuck on his head," Rallo said. About 10 minutes later, at about 10:30 a.m., Wells and a Fish and Game wildlife technician arrived at the scene. "It was obviously stressed," Wells said. 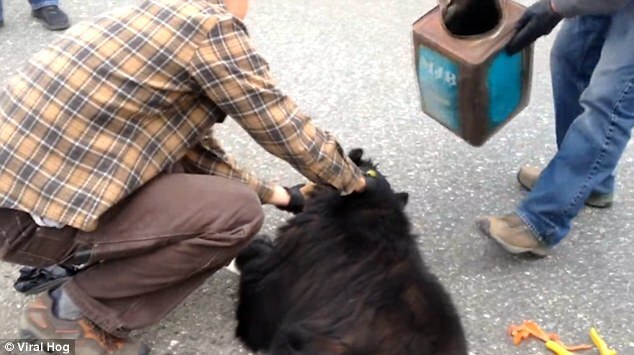 "At that point it had been wandering around on the road for at least an hour." "It's just lucky that it wandered up onto the road where people could see it and we could respond to it in a timely manner," Wells said. 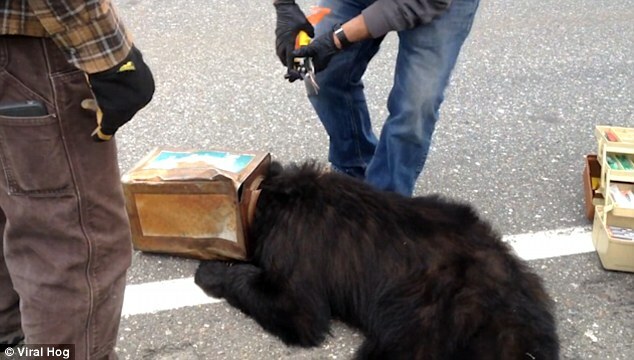 Responses to "Bear with head stuck in coffee can is saved by wildlife officers in Alaska"
Wouldn't it be better to remove the can while on the grass, off the road? Thanks for the great job.